If you’re keen to make your next holiday as ecologically sound as possible, a yurt break could be for you. Presenting a great fun alternative to camping, yurts are fast becoming the next big thing in green getaways. 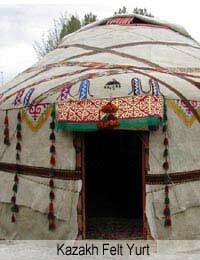 Though the concept may be new to you, yurt dwellings have been around for a long time and originated in central Asia centuries ago. A circular space with a domed roof, a yurt provides basic but fairly spacious living accommodation and might be perfect for you if you like the idea of camping but don’t fancy sleeping on the ground in a tent. Where Can I go on a Yurt Holiday? Yurt holiday operators are springing up all over the UK in beautiful parts of the country, from the Lake District to Somerset. Usually situated in picturesque pockets of open countryside, a yurt break affords you a fantastic opportunity to enjoy glorious views and fresh air away from the trappings of modern life. Without electricity your yurt is likely to feature a wood burning stove to keep you cosy. You’ll also find beds and basic furnishing. Remember the emphasis is on sustainable living rather than luxury, but you’ll have access to hot showers and catering facilities on site. There are a number of eco-chic yurt operators springing up – think of this as the new, cool way to camp. Is a Yurt Holiday Suitable For all Seasons? Yes, yurt holidays are suitable all year round. With most featuring a wood burner, your yurt can be as cosy and warm as you want it to be. Fully waterproof, you’ve no need to worry if your holiday turns out to be a wash out. In hot weather a yurt stays cool and most sites have private decking areas and also barbeque facilities. Yurt sites are ideal for families, with communal living providing great chances for your kids to play and make friends. A yurt holiday is a great idea for extended family holidays, too. As yurts aren’t jammed in tightly in the same way as tents often are, couples can enjoy secluded and romantic getaway; and if you have pets they can usually be accommodated, too. How Much Will a Yurt Holiday Cost? Though prices obviously vary depending on company and season, you can generally expect to pay between £300 and £500 for a week in a yurt. Costs are usually set per yurt, per week and the increasing popularity of green getaways like this means it’s a good idea to book early, particularly for stays during school holidays. If you like the idea of doing something a little different for your next holiday, or you’ve yet to be convinced by the idea of the traditional camping holiday, a yurt break might be just what you’re looking for. It’s eco-friendly, trendy and one of the best ways there is of getting back to nature. What’s more, there’s no need to wait in long airport queues, learn a new language or get to grips with a foreign currency. The beauty of a yurt holiday is in its simplicity, so leave your smartphone at home and enjoy.